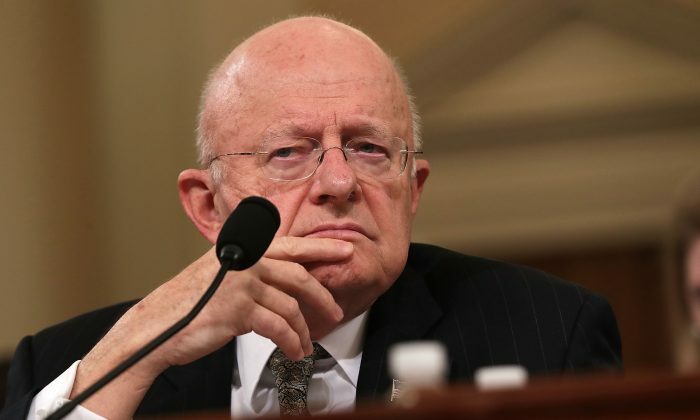 WASHINGTON—President Obama’s controversial former Director of National Intelligence James Clapper said that he still thinks the government’s mass surveillance of the American people is a necessary measure to safeguard national security. Clapper was recorded lying to the U.S. Congress about such programs in the past. Clapper said on Tuesday that he thinks the various U.S. intelligence agencies should be more invasive in their global mass surveillance efforts, which include spying on the communications of the American people. 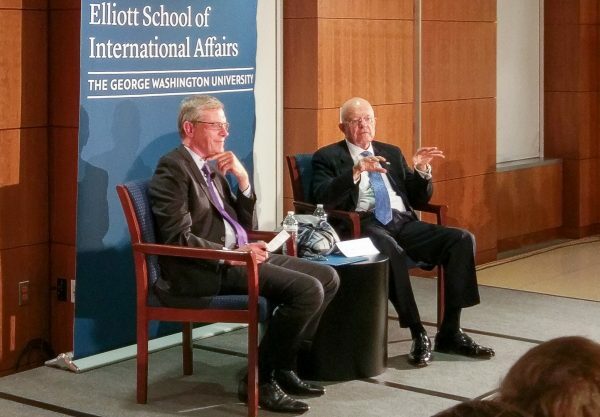 Speaking to a full room of students at the Elliott School of International Affairs at George Washington University, Clapper encouraged students to pursue a career in the U.S. intelligence agencies, but offered the same justification he repeated over the years on the supposed necessity of intrusive mass surveillance programs that such a career might end up engaging in. Clapper did not deny there should be a balance between national security and the need for privacy, but insisted that the balance has shifted to the privacy side, and the government should have more power. “General feeling [among the public] is there is too much surveillance, until an attack happens,” said Clapper. Documents leaked by Edward Snowden later that year revealed that U.S. intelligence agencies were indeed conducting massive surveillance programs that include the collection of telephone “metadata” on millions of Americans, and such programs were done systematically and regularly. Clapper was not fired by President Obama for lying under oath, despite strong calls from the Republicans urging Obama to do so. Clapper said on Tuesday that Edward Snowden’s leaking was the “low point” of his career, supposedly because it exposed U.S. intelligence operations and inflicted damages on programs beyond mass surveillance. Clapper did not explain to students, many of whom major in international affairs and are contemplating public service, what they should learn from the controversial episodes of his past career. Clapper also expressed frustration over “WhatsApp and other secured communication [apps] that we can’t break,” saying that they enabled “child pornographers, terrorists, human traffickers, murderers, etc.” to evade the U.S. intelligence network. Government imposed mass surveillance is there “for the common good,” said Clapper. The call for a built-in backdoor to WhatsApp and other communication apps has been repeatedly rebuffed by experts, who say that encryption is a “have or have not” quality. Any backdoor in encryption can be exploited not just by the government but also by anyone with malicious intent. The Epoch Times has reported recently that WeChat, China’s most popular messaging app and the equivalent of WhatsApp there, has openly admitted to users that it shares just about all private user data with the Chinese regime. Earlier, the Chinese regime started a partial blocking of WhatsApp, as it was one of the few remaining secured messaging apps not controlled by the Communist Party regime.